South Australia is a state that seems to lag behind the rest of the country when it comes to craft beer. It could just be a distribution thing though, as I'm aware of a few highly hyped beers. Brewboys Hoppapotamus is probably the most hyped of all and here I have a bottle to review. Brewboys are one of the few South Australian craft breweries that are make it to Victoria. In the past I've had their Seeing Double and Ace of Spades, but that would have been years ago! I'm so pleased to see this make it out here though, I've got a few big IPA drinkers from South Australia on Untappd and this appears to be 50% of what they drink. Hoppapotamus pours quite a dark copper/brown colour. The head is cream coloured and a good three fingers high in the Spiegelau IPA glass. The head retention is good and there is plenty of lacing left behind once the beer is all gone. I'm quite surprised by the colour of this beer but this has only made me more intrigued to try it for the first time! The aroma of this beer is particularly resinous, with pine being far and away the most dominant flavour on the nose. There's also quite a bit of citrus on the nose and there's also pineapple, an aroma I'm picking up much more since the last BrewDog IPA is Dead - I think the beer was Exp 366 from memory... Anyway in summation, Hoppapotamus has a pine and citrus dominated nose if it tastes as good as it smells it will live up to the hype. 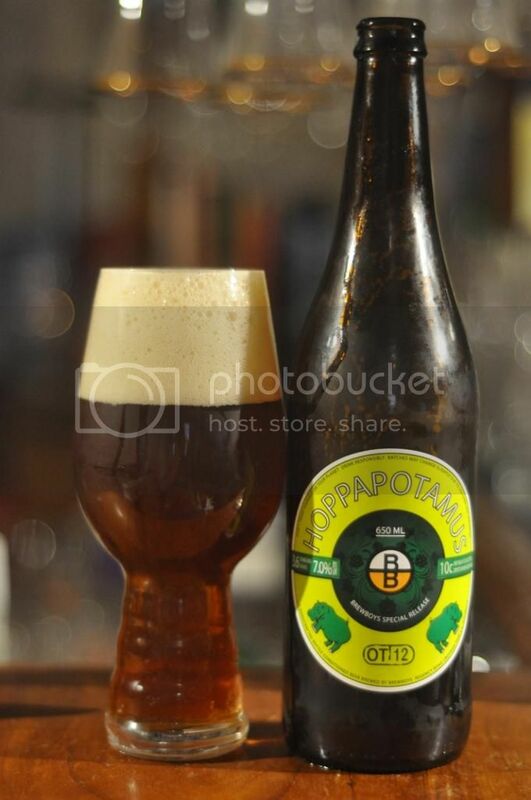 Brewboys' Hoppapotamus lives up to it's name, the beer is packed full of hops! There's initially an almost overpowering pine hoppiness before citrus and tropical fruit flavour, particularly mango and pineapple, become more prominent. There is quite a hearty malt backbone which has light caramel qualities. Despite this relatively big malt body the beer is still assertively bitter, which may not appeal to everyone but to me is pretty close to perfect! I think the tasting notes from the Brewboys website say more about Hoppapotamus in one sentence than I could in the review. "Big Pale Ale with enough hops to choke a large African animal." That's all you need to know, there's plenty of hops in this beer and there's pictures of Hippo's on the beer. 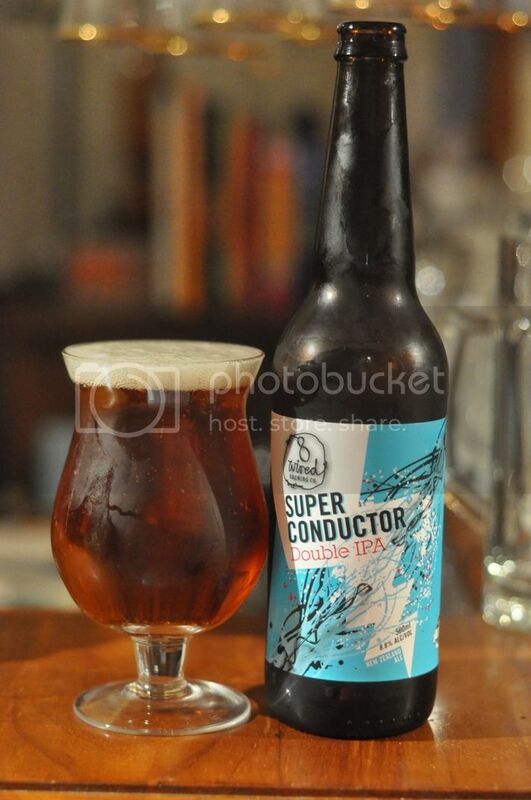 It's simple, it's succinct and it's a beer you Australian IPA lovers need to get your hands on!